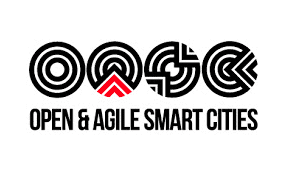 Inform, engage and participate – the LCM challenge: Gamification of data-access – information-generation and knowledge-distribution using a digital twins concept. 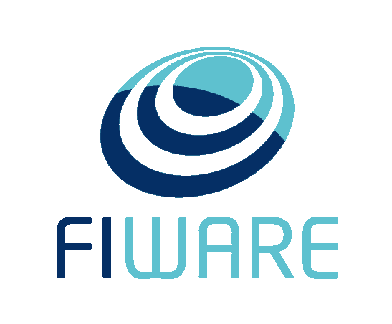 All over the world FIWARE enables access to data and supports the IoT world with a very wide range of applications. Sensors, things, networks, buildings, machines, vehicles are trackable, readable with easy effort. Huge amounts of data are generated day by day. Data which is sometimes not provided correctly, not displayed in the right way, not analyzed, not transformed into information and knowledge. If this is the case, the value of this data is much less than possible. What if we would have a data cockpit or even an advanced innovative performance cockpit? Not just giving us access to this data, not just showing us figures, tables, pdf files and excel lists. What if this cockpit would help us to understand the data, to have a fast overview, to read it easily, what if the cockpit would help us to show the hidden information which is in it. Trends, growth, and jumps in the new data cockpit. If we look not just at data, but at performance data, it would be interesting to virtually adjust parameters in our data. What if we could adjust parameters and look at the changes this implies to the system. The rise in energy consumption if we increase velocity, the increase in throughput when we increase the tube diameter, the cut speed when we increase the forces and so on. In order to be able to do so, we need digital twins. These digital twins are often placed as virtual layers behind things. Most of the time we call them models. Persons, movements, behaviors, machines, vehicles are modeled. A smart combination of these models and the data and components provided via FIWARE API would enable us to play with the performance of our systems, learn its behavior, be trained and optimize it àPerformance cockpit. The LCM challenge is to provide a generic data- a performance-cockpit for data accessible via FIWARE NGSIv2. Standard displays should be combinable with datasets. Single values, bars, columns, charts generated by drag and drop. Do an easy analysis of the data like regression calculations, max and min values, means and medians, show trends and limits which are reached. For modeled data show the change in KPI’s, trends in real-time by drag and drop of value bars. 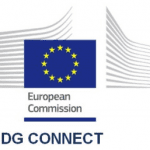 This challenge is aimed at developers and startups willing to use FIWARE components and API, data models and standards and add recent gaming engine technologies in order to deliver innovative solutions that involve the community. The principle idea lies in using coding and applying games to motivate people to explore technical and regional data, making people aware of recent happenings and the latest information. A generic handy or web app would be in the scope of the challenge outcome. 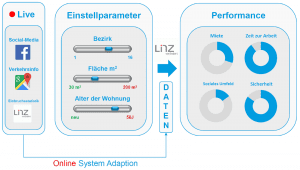 The challenge should provide a performance cockpit prototype that is generically applicable to data being provided by the Linz Center of Mechatronics or other sources. Within this cockpit: live data can be displayed, selected parameters can be adjusted to optimize performance e.g. energy consumption or other values and parameters. Developers may benefit using FIWARE OpenSource Components to build the dashboard like this with Wirecloud and Knowage, but not limited too. 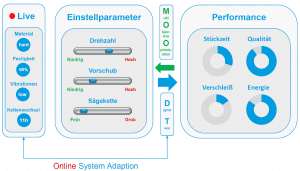 Users could optimize Performance parameters of the systems in a gamified environment. By playing with this data, information will be transferred and a learning process is started. In case the performance of the system is deeply analyzed by the player – knowledge of the behavior of the system is transferred. This leads to a broader understanding of the behavior and performance of the systems in the scope of this challenge. In a later stage, this could be transferred and broadened to a wide range of applications in cities and communities. A generic performance cockpit as a prototype is provided. Data can be displayed, modified and analyzed by users. 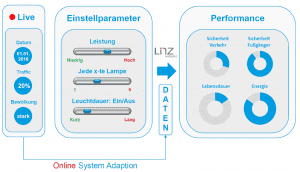 By adjusting settings and parameters, the performance of the system can be optimized and modified or just viewed. The solution can be easily transferred to any data source provided by common IoT protocols (like OPC-UA, M2M, NGSI) or other FIWARE NGSI compatible standard protocols and systems. Data for this challenge is provided by LCM and other available sources like e.g. data.gv.at, and smartdata.wien (via NGSIv2). The challenge winners will be granted with prize money, but also will be invited to establish a collaboration with the Linz Center of Mechatronics, to explore and validate the prototype in real projects.